Look for public_html in the left-hand sidebar. Double click on the title. You should see something like this: Name your workspace. If you are using this for a class, I’d recommend naming it with the class number or title. Click Add Workspace and then click on the blue name that appeared below. You should see a welcome screen. We are going to close out some of the tabs to do the work we need to do. Close the tabs by clicking on the x that the arrows point to. Click on the green circle with a plus under the GoTo menu. Select New Terminal. This environment allows you to run code that will create a webpage for you. Neat! Type in the following code: jekyll new my-awesome-site but replace “my-awesome-site” with the name of your site. If it this is for a class at Bates College, probably name it something that includes the course number and the semester. Replace any spaces in the name with a -. Hit enter. You should see a folder with the name you just entered in the left-hand sidebar. Once that code finishes running, type in the following code: cd my-awesome-site but replace “my-awesome-site” with the name of the site you created above. This asks the installer to put anything you do in the folder you just created. Finally, run bundle exec jekyll serve --host=0.0.0.0 --port=8080. This installs the blogging tool Jekyll in the file you just created! 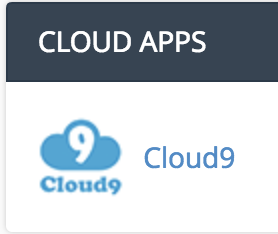 In the top bar of your Cloud9 workspace, click on Preview, and then click Open (followed by a long URL). You should see a site! Finally, look at the preview again. Your site should have updated! The final step is hosting your new Jekyll site on your Bates domain. Double click on the folder in your sidebar called “_site”. Highlight all of the contents. Right click and select “download”. You should have a file called [+5].tar.gz wherever your files download. Navigate to catapult.bates.edu and login. Scroll down to File Manager (in the Files section). Double click. Locate a folder titles public_html in the left-hand sidebar. Double click on the title. Click on the folder you created earlier. Click on the file called [+5].tar.gz and select Extract from the menu bar. Click on Extract File. A box full of text will appear. Click close. Now, navigate to www.yourdomain.catapult.bates.edu/yourfoldername (but replace yourfoldername with the name of the folder you created, and yourdomain with your domain) – You should see the same webpage that you previewed before!